Yesterday evening(July 25th) Kelly Rowland was on hand for the Refinery29 '29Rooms' Chicago Opening Party in Chicago, IL. 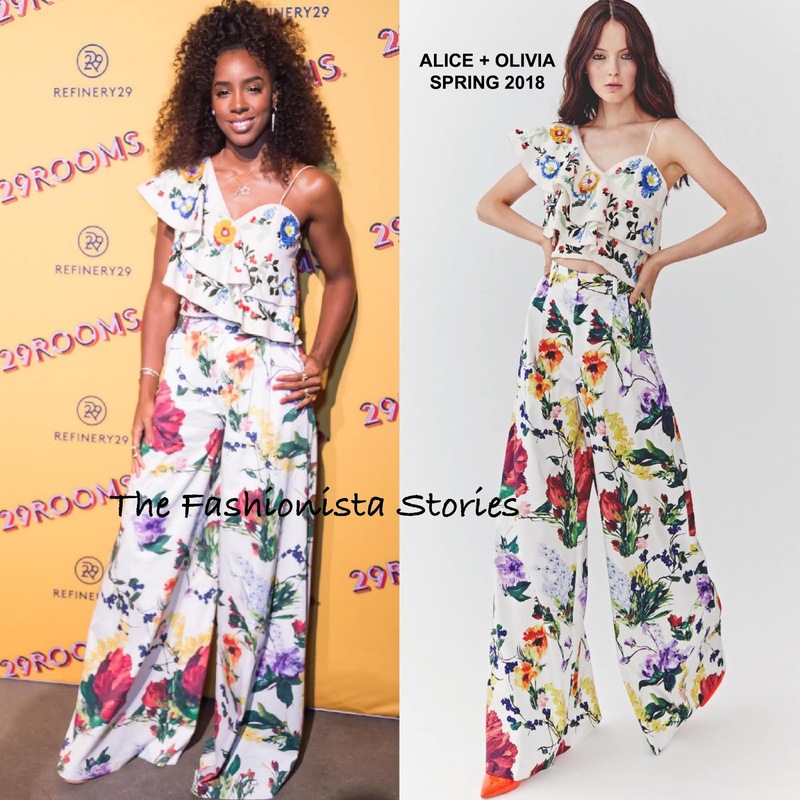 Kelly was serving up Whitney Houston 'I Wanna Dance with Somebody' curly hair while wearing a ALICE + OLIVIA SPRING 2018 ensemble. Her ruffle floral embroidered crop top was teamed with the matching 'Dustin' floral wide-leg trousers. I do like this playful floral look but my only quibble is that I wish she had the pants hemmed. It's just a little too much fabric dragging on the floor. What do you think of Kelly's look?